Absolutely flying in his work - should go for a jump-out in next week or so. DANE SHADOW (AUS) (Bay 2001-Stud 2005). Winner at 1400m, NSW Tatt's RC Ming Dynasty H., Gr.3. Sire of 497 rnrs, 327 wnrs, 10 SW, inc. Red Tracer (Qld Tatt's RC Tattersall's Tiara, Gr.1), Shellscrape, Hurtle Myrtle, Shadows in the Sun, Tsaritsa, Danish Twist, Turnitup, Luen on Treasure, One Rar, Fill the Page, SP Patch Adams, Harrier Jet, Trevinder, Pharomac, Danish Spy, Shadow Assassin, Paddy's Shadow, Endless Days, Cinematic, Reiby the Red, etc. Yuppony - Touch Well (H.K.) (g. by Danehill Dancer). 5 wins to 1400m, TTC Newstead Hotel & Olives Bistro H., 2d TTC Gee Gee Horse Stud H., Membership Benefits H., 3d TRC Cork H., TTC Fish 'n' Chips H., Examiner Website Creation H., HKJC Lantau Island H.
Williamson (g. by Dane Shadow). 2 wins. See below. Love and Obey (f. by Commands). Winner at 1200m in 2017-18 in Aust. Desert Passion (f. by Desert Sun). Placed at 2 & 3 in Aust. SHOW NO EMOTION (Masterclass). 6 wins-2 at 2-to 1200m, A$574,130, VRC Ascot Vale S., Gr.2, MVRC Schweppes S., Gr.2, VATC Chirnside S., Gr.2, SAJC Angas Brut S., Gr.2, MVRC Gold Bake Pies 2YO H., 2d SAJC KPMG S., L, VATC Scobie Breasley H., 3d VRC Lightning S., Gr.1, MRC Harpagus Welter H., 4th QTC Stradbroke H., Gr.1, Mornington RC Hareeba S., L.
HARVARD (Masterclass). 7 wins to 1400m, A$205,770, Bunbury TC Pinjarra Classic, L, WATC Winter Championship Heat, 2d VRC Scobie Breasley H., 3d WATC Cyril Flower S., L, VRC Peter Rowland at Flemington H., Sally Malay Sprint H., WATC Passages Resource Centre H., 4th WATC Hyperion S., Gr.3. Hokuto Dancer (Mistral Dancer). 5 wins-1 at 2-at 1200m, 1400m, ARC Philips NZ H., Hawkes Bay Horlicks Classic S., ARC Touching Wood H., Avondale JC Ra Ora Juvenile H., Intermediate H., 3d CJC Canterbury Belle S., L. Producer. GREY SONG (Unbridled's Song). 6 wins-2 at 2-from 1400m to 2800m, A$1,951,500, AJC Chairman's H., Gr.2, VRC Blamey S., Gr.2, 2d MRC Caulfield Cup, Gr.1, Underwood S., Gr.1, Sandown Classic, Gr.2, Herbert Power S., Gr.2, VATC Norman Robinson S., Gr.2, 3d MRC Caulfield Cup, Gr.1, AJC Sydney Cup, Gr.1, MRC Sandown Classic, Gr.2. TONZ MORE FUN (More Than Ready). 5 wins-4 at 2-to 1200m, A$151,375, SAJC Jansz S., Gr.3, MRC Stargazer 2YO H., 2d MRC Kilshery H., Holmesglen 2YO H., 3d MVRC Inglis H., MRC Zephyr Bay H.
CAUTHEN (Darci Brahma). 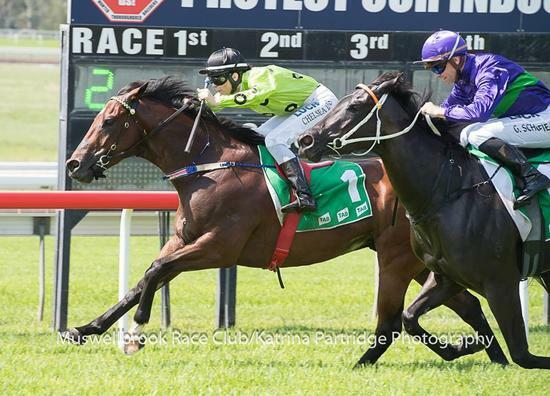 2 wins-1 at 2-at 1200m, NZ$13,000, A$102,860, MVRC Mitchell McKenzie S., L, 2d MVRC Sweeney Can Do Agents H., Art Series Hotel Group H., WRC Mitsubishi Electric H.
Race Record: 11 Starts 2-1-2 A$45,480.